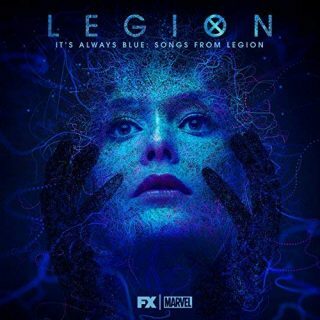 Jeff Russo & Noah Hawley : It’s Always Blue: Songs From Legion album download | Has it Leaked? Noah Hawley's series Legion gained fame for its unconventional take on a superhero genre. Among many advantages of the series, the attention of viewers and critics from among others was brought to a soundtrack by Jeff Russo (ex-Tonic, currently a composer for, among others, Star Trek Discovery, The Night Of and another Hawley project, Hawley). In Season 2 of Fargo, Noah and Jeff teamed up on a track Didn't Leave Nobody But A Baby. This duo collaborated once again for Season 2 of Legion, recording nine covers of artists likes of Jefferson Airplane, Talking Heads, The Who and Tori Amos. The official release of these songs will see a light of the day on 17th August. "It's Always Blue: Songs from Legion" will also feature voices of "Legion" cast members, specifically Dan Stevens, Navid Negahban and Rachel Keller. On the Syfy website, you can now listen to the stunning cover of Road To Nowhere by Talking Heads featuring vocals of Rachel Keller, playing Syd in the series. Link below.